Welcome to our what’s on section, divided into sections for ease of use. If you’d like your events listed here and on DfC social media, please send details about the event, including date, time, cost, any age restrictions (up to 200 words) plus a good-quality image supplied as a jpeg file (minumim 200KB) to darlo4culture@gmail.com. 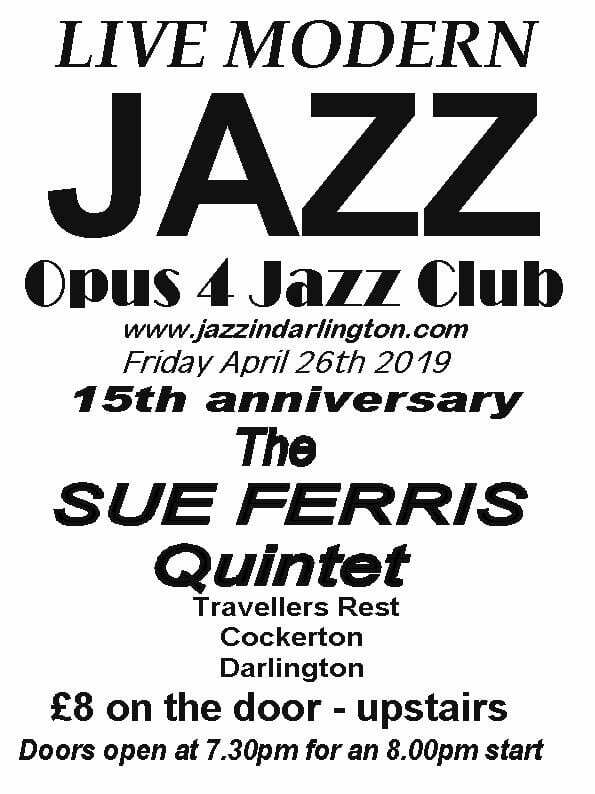 Opus 4 Jazz club’s next evening of Modern Jazz will be the 15th anniversary of the Opus 4 Jazz Club. 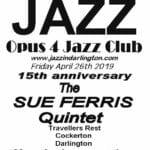 On 26th April, and as ever on each year since opening night 2004, the club presents The Sue Ferris Quintet although the original musicians will, on this occasion, not be appearing with exception of Sue and Neil Harland. The line-up for this concert will be: Sue Ferris, tenor sax/flute; Pete Tanton, trumpet; Ben Lawrence, piano; Neil Harland, bass; Rob Walker, drums. 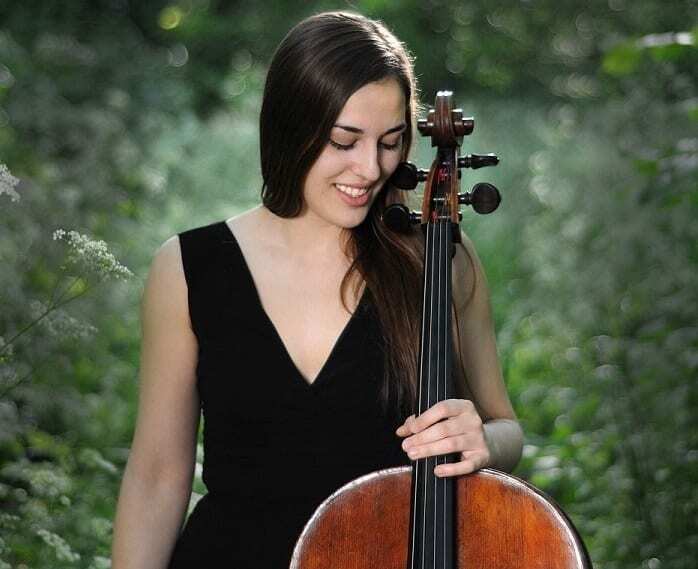 This promoter of classical chamber music concerts in the North East brings the finest music played by world-class musicians to Darlington for live performances at reasonable prices. 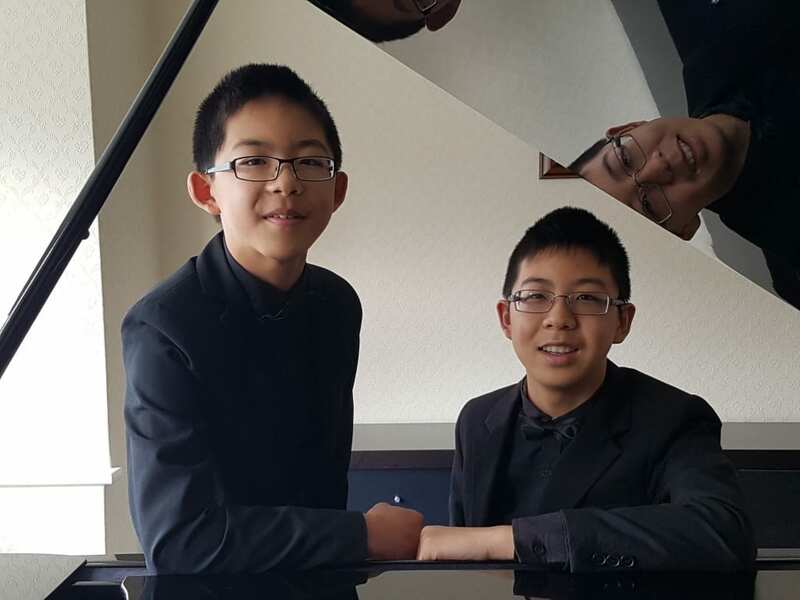 As part of Darlington Arts Festival 2019, Darlington Piano Society presents a recital by the highly talented Chen brothers, Jeremy (13) and James (15). 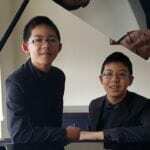 Both boys were prize winners at the Chopin International Festival in Warsaw in 2016 and they both now study at Chetham’s School of Music in Manchester. 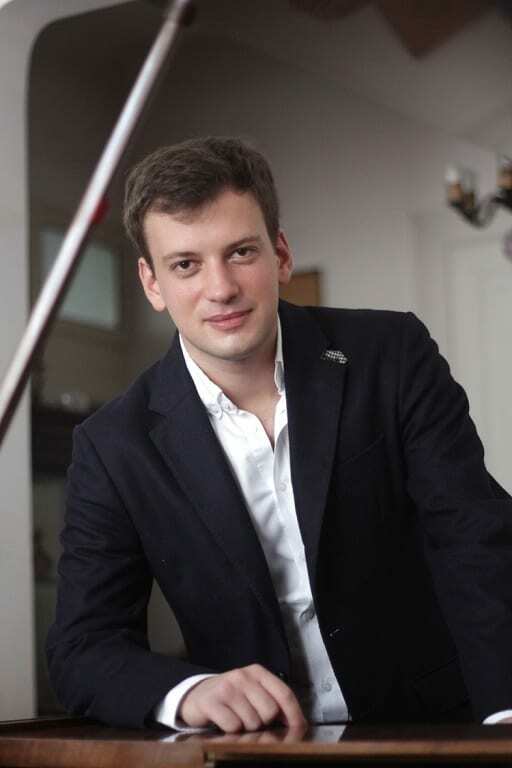 Each will give a recital either side of the interval and their programmes will include works by JS Bach, Haydn, Beethoven, Liszt, Chopin, Debussy and Prokofiev. This is a great opportunity to promote and support young, local talent. There is a chance to enjoy some terrific disco-based music in Darlington – Double Entendre – DJ Soul, Funk, Acid Jazz, held on the 4th Friday of the month at Voodoo Café, Skinnergate 8.30pm until late. Enrico Tomasso was again the winner of the jazz trumpet category in the British Jazz Awards in 2018 making him a five times winner.Nick Ward is the UK’s leading drummer always in high demand by classic jazz bands with his unique vintage drum kit. This promises to be another outstanding day of classic jazz from the 1920s. 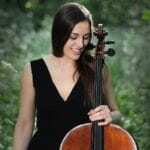 The Majestic Theatre – spring season’s programme. To book, call 01325 405405 or visit Darlington Hippodrome website. Darlington Festival for Performing Arts (DFPA) is a competition comprising three disciplines; next one is Dance on Saturday 5th October at Longfield Academy. Does your child enjoy acting, singing and dancing? 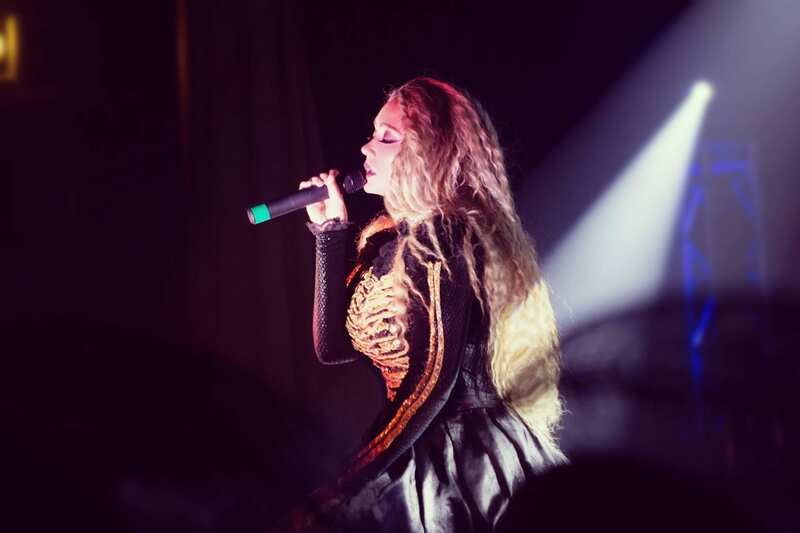 The Darlington Academy of Performing Arts holds regular classes take place at Hummersknott Academy. For details of events, visit the Hilarity Bites website. Visitors are welcome t meetings, with a £3 contribution towards the meeting costs. Bondgate Methodist Church Lecture Hall (Winston Street entrance) and the talk usually starts at about 7.30pm, after tea/coffee from about 7pm. The nights, supported by Darlington for Culture, offer a forum for writers to read their material and audiences to enjoy it, in the upstairs room at HASH, 14 Coniscliffe Road, Darlington DL3 7RG (usually on the last Thursday of the month, except July, August and December). The nights have given dozens of writers from Darlington and further afield the opportunity to read work including poetry, short stories, novel extracts and scripts to appreciative audiences. Readers range from published authors to those just starting out on their writing careers, and pieces read out range from completed pieces to work in progress for which the authors are seeking feedback. It all makes for an enjoyable evening’s entertainment. Bennet House Writers meet every Monday at 10.30am at Age UK, Bradbury House, Beaumont Street West, Darlington DLI 5SX. The group read and discuss new and old work from members that includes poetry, short stories and novels. 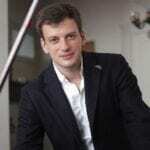 Further details can be obtained from Mary Sweeten on 01325 283401. 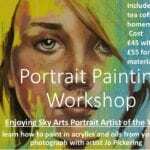 Portrait Painting Workshop at The Bridge: Enjoying Sky Arts ‘Portrait Artist of the Year’? 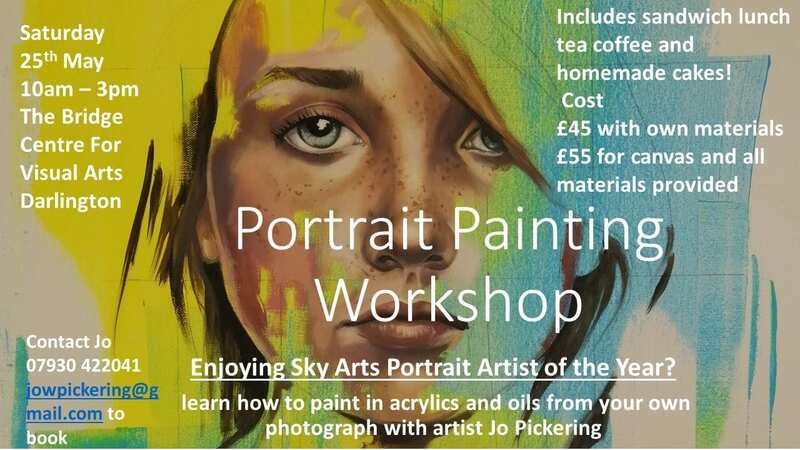 Learn how to paint in acrylics and oils from your own photograph with artist Jo Pickering. Detailed step-by-step tuition – suitable for beginners.One-day workshop takes place on Saturday 25th May 10am-3pm. The Bridge Centre for Visual Arts launches its range of spring courses, term started 14th January 2019. Check The Bridge website for start dates and prices. The Bridge houses a variety of local groups and is available for private hire. Rejig’s Skills Courses take place at South Park Education Centre, Darlington, £25, includes materials and light refreshments. The Knitting Cafe holds its Monday night sessions at Lingfield Point, off McMullen Road, taking the craft of knitting home to the site. The Café meets at Lingfield House on the site which was home to Patons and Baldwins, at one time a leading manufacturer of knitting yarn in Darlington. The Monday evening sessions are designed to introduce people to knitting, and also for experienced exponents of the pastime, and take place between 7-9pm. Sessions cost £3. For more information, contact Becky on 07550 002773. The Cotswold Morris Team/Black Diamond Mixed Cotswold Morris is seeking new members. Named after one of the first steam locomotives to operate on the Darlington and Stockton Railway/Black Diamond, this new Cotswold Morris team is based in Darlington. Dancing traditional dances from the Cotswold villages, this team comprises of both women and men. They practise in the upstairs room of the Voodoo Cafe Bar on Skinnergate in Darlington from 7.30pm until about 9.30pm. They welcome any dancers and musicians who would like to join them and if you’re not a dancer or musician then you are still more than welcome to come and join and learn these traditional dances. Harlequin Women’s Morris meet at Village Hall The Green, Cleasby, N Yorks DL2 2QZ, on Tuesdays from 7.30pm-9.30pm. Transport yourself back to the swinging world of the 1940s and learn the dance sensations that took the era by storm. 6th Street Swing are a group of local swing dancers keen to encourage more people to take up this fun and sociable partnered dance style. We run informal beginners classes weekly as well as evening socials every few months. No partner is required. 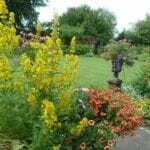 Darlington Amateur Gardening Club: meets in Bondgate Methodist Church, Winston Street entrance, and the talk starts at about 7.20pm, after tea/coffee. For club information contact the club secretary on 01325 468870. The Campaign to Protect Rural England, CPRE Darlington: meets in the Upstairs Restaurant, Dolphin Centre, Darlington, at 6.30pm. Meetings are informal and usually held the third Tuesday in the month. They cover mainly planning applications and so give the opportunity to air any views on issues which could affect your quality of life. Please ring 01325 485107 to check dates and inform them of your attendance. The Friends of the Stockton & Darlington Railway were formed in 2013 to take forward ambitious plans to conserve and promote the 1825 line in the lead up to the celebrations of the 200th anniversary of the opening of the railway in 2025. The Friends’ vision is to establish a walking and cycling rail trail using the route of the 1825 S&DR from Witton Park to Stockton on Tees. More information is available on the Friends website www.sdr1825.co.uk/ Or at their Facebook page; where notice of regular meetings and events can be found www.facebook.com/groups/304912612980375/. The Friends hold a regular monthly meeting on the first Thursday of the month, 7.10pm, usually at Darlington Cricket Club, Feethams. Email info@sdr1825.co.uk for information. The National Council of Women (NCW) wants to ensure that women play a full role in our society. 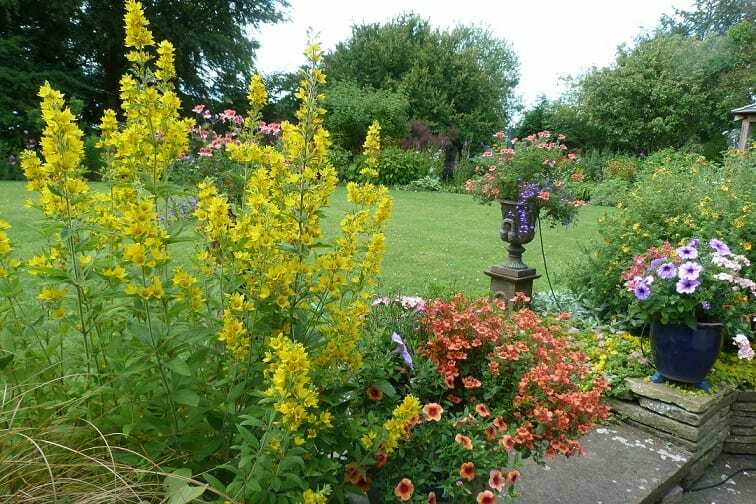 In Darlington they meet on the fourth Tuesday of the month between 10am and midday at the Millennium Centre, All Saints Church, Ravensdale Road, Darlington DL3 8DT. They welcome women from around the wider area. There are also lots of opportunities to attend other discussions/seminars/meetings both locally and nationally during the year to keep up to date with what’s happening. Want to know more then check out the NCW website www.ncwgb.org or Twitter @NCWGB, call 01325 367375 or search for National Council of Women Great Britain on Facebook. Classes take place every Thursday evening from 7.30pm to 9pm at St Thomas Aquinas Church Hall, choreographed by Catherine Gilsenan; and every Tuesday evening from 7.30pm to 9pm at Sadberge Village Hall, choreographed by Margaret Marston. Both are qualified teachers with regularly updated training, costs are £3.50 per session with a view to membership if liked. Ages range from 18 years upwards.